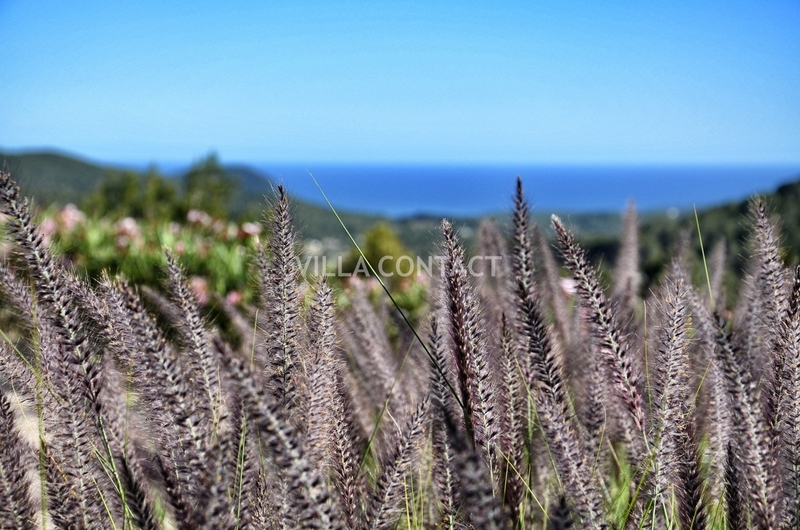 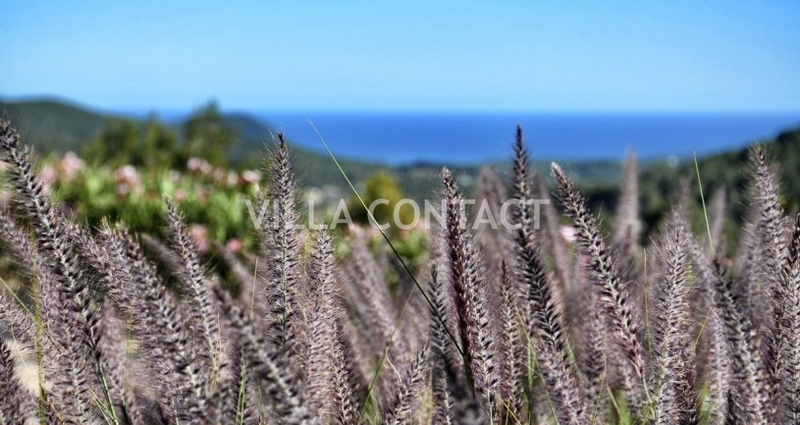 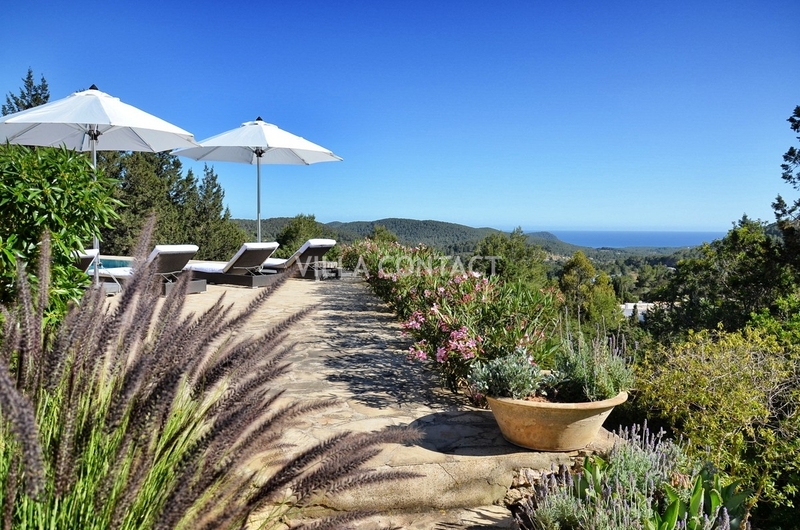 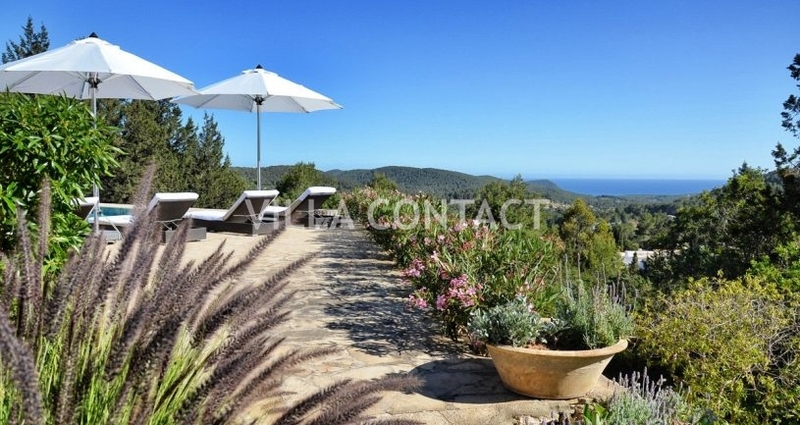 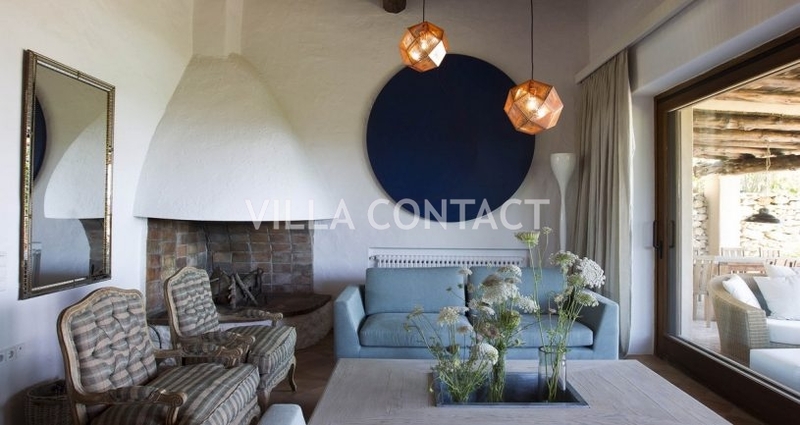 Villa Kai is set high in the hills in San Jose on a large plot of 60.000m2 and is surrounded by mature gardens offering absolute peace and tranquility. 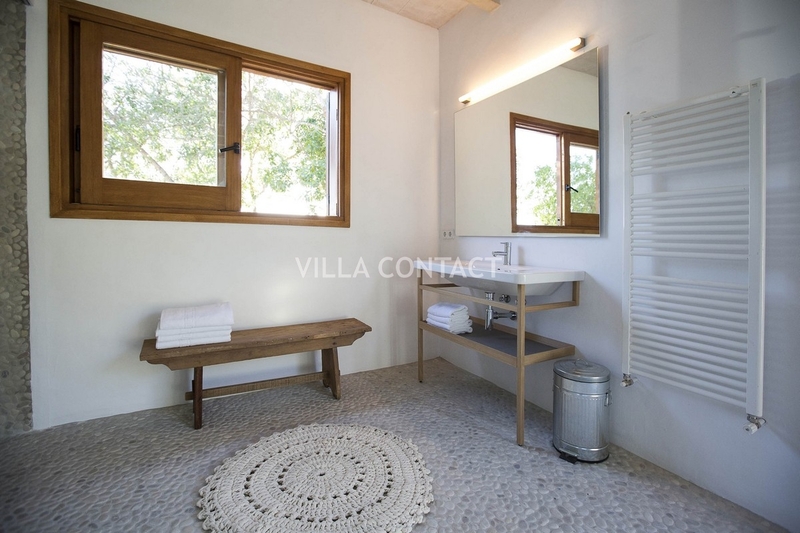 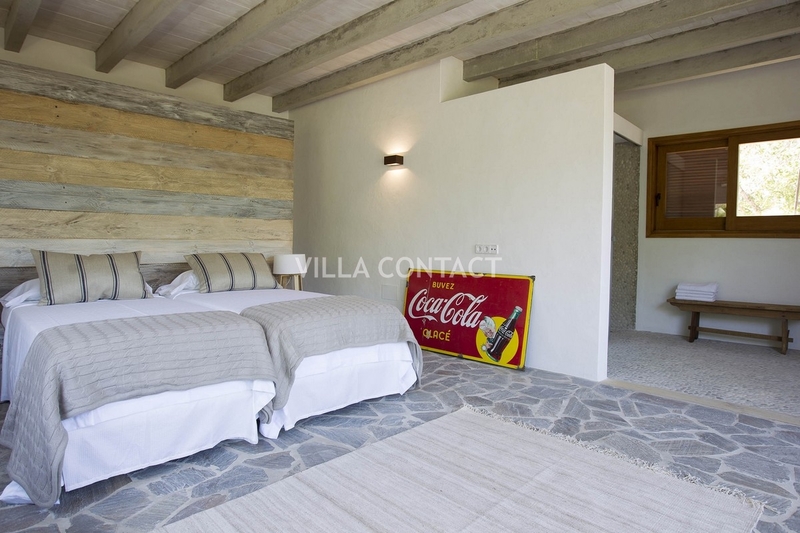 The style of the villa is rustic but modern finishes provide that additional level of comfort making this such a special place to stay. 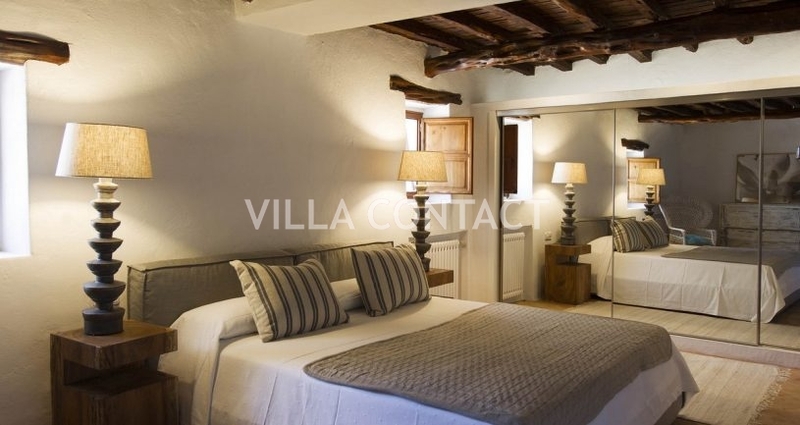 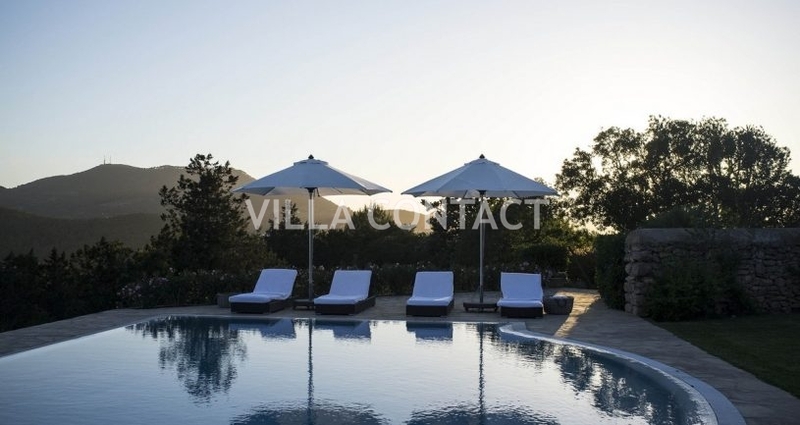 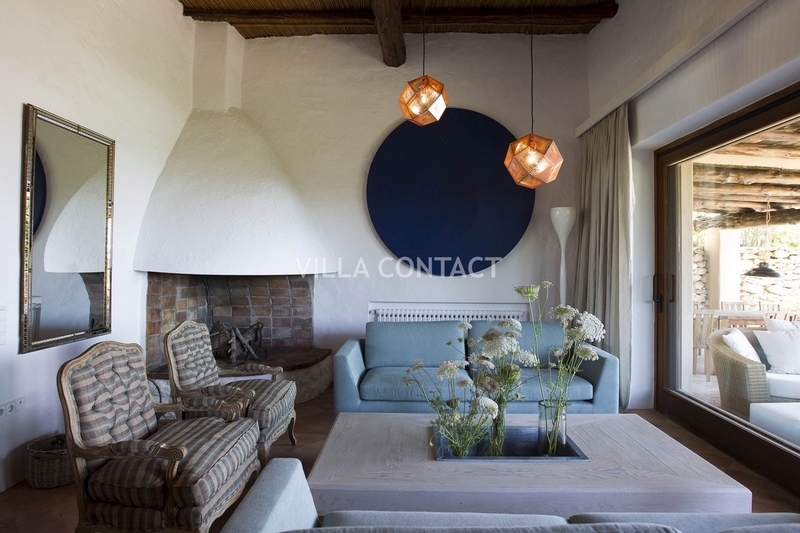 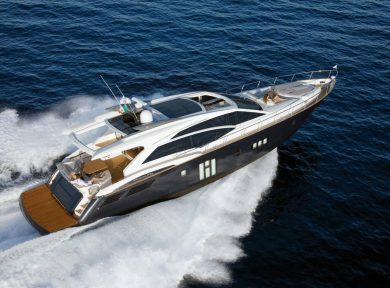 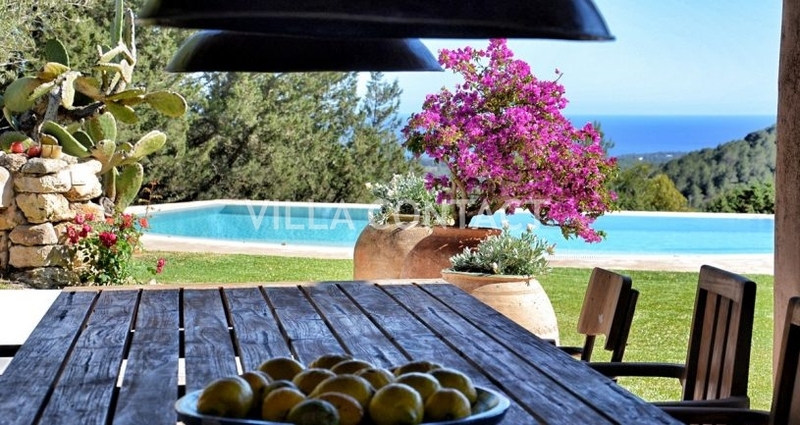 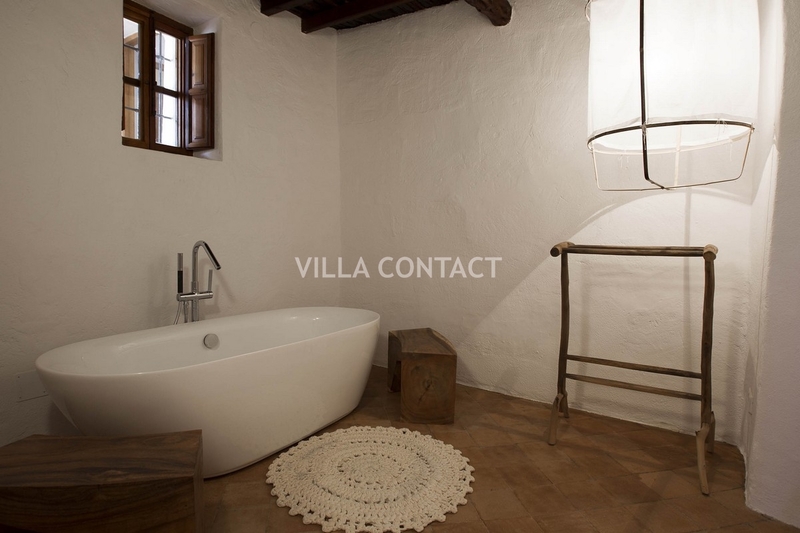 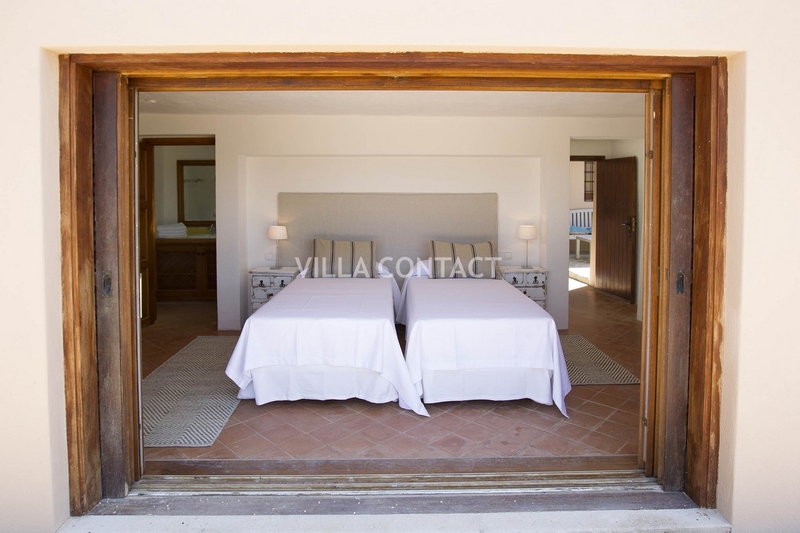 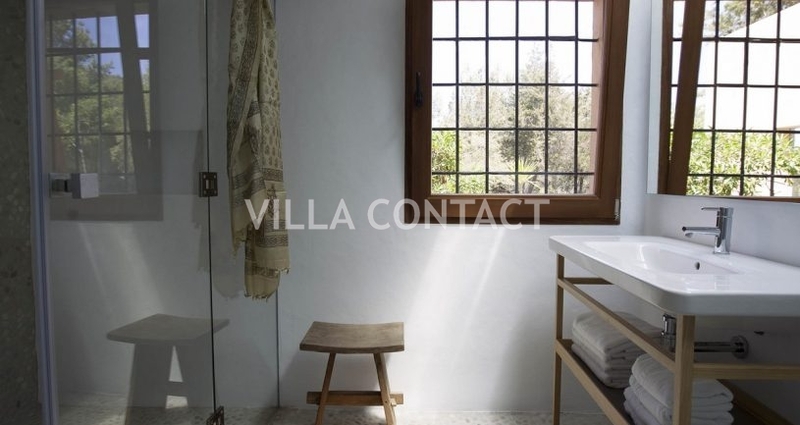 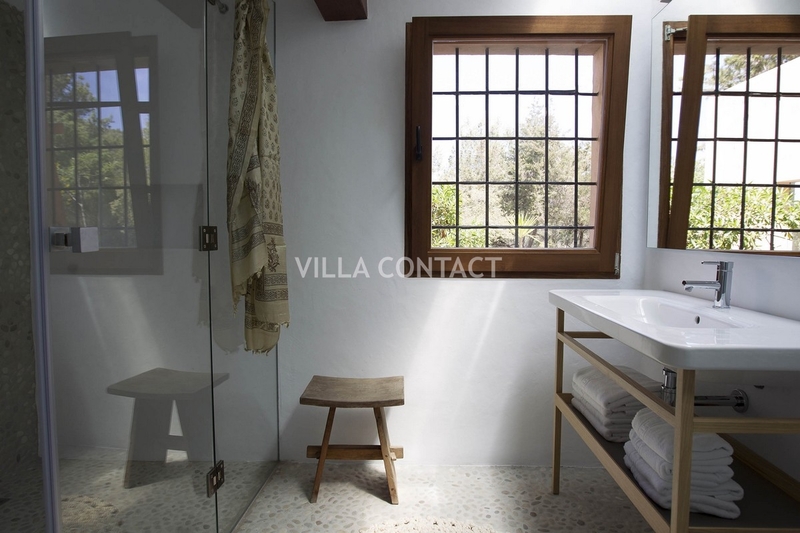 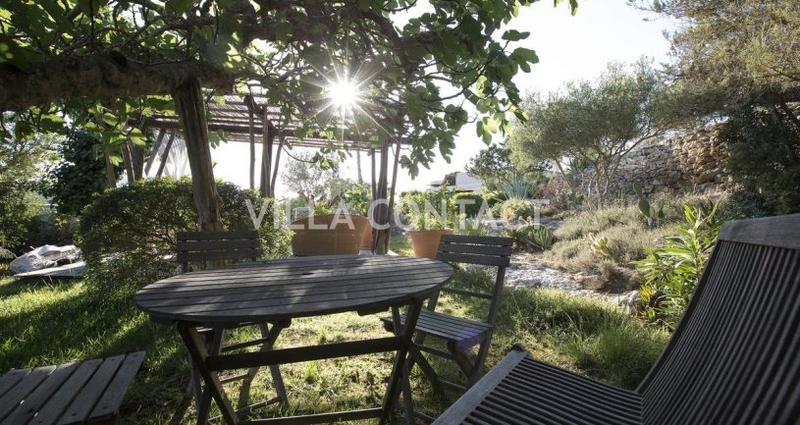 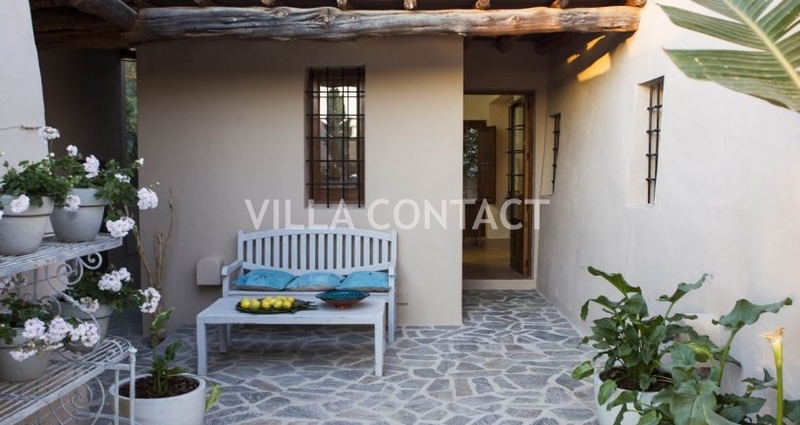 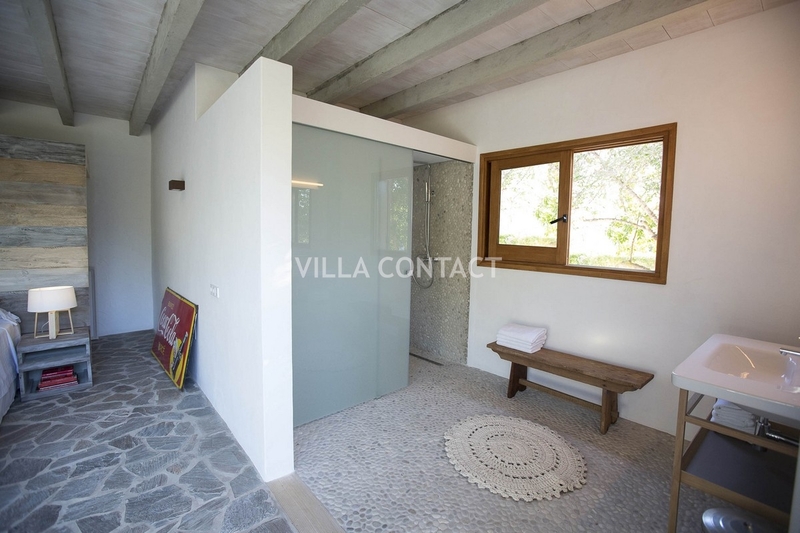 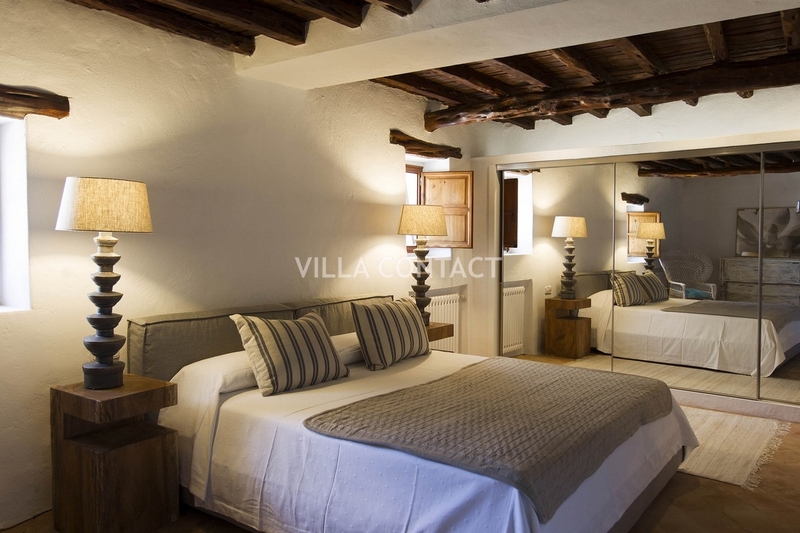 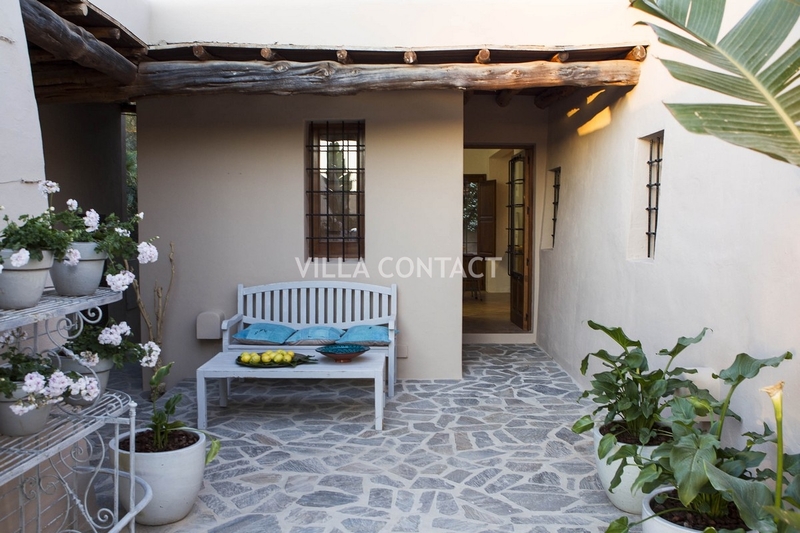 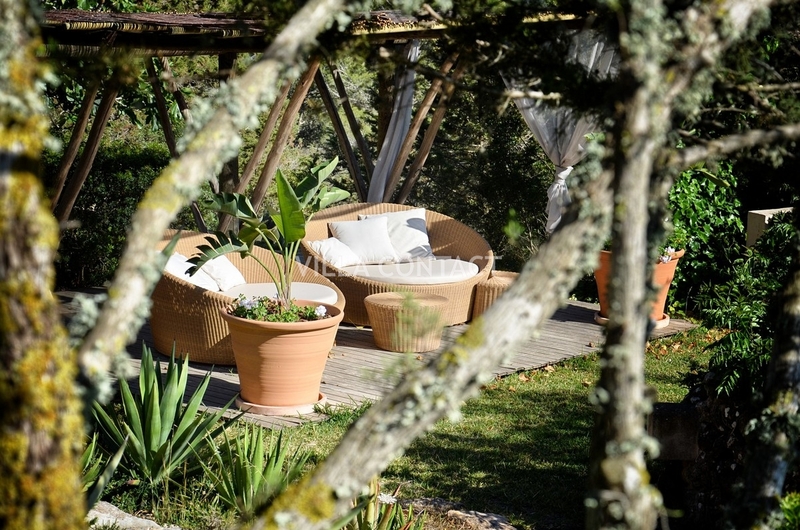 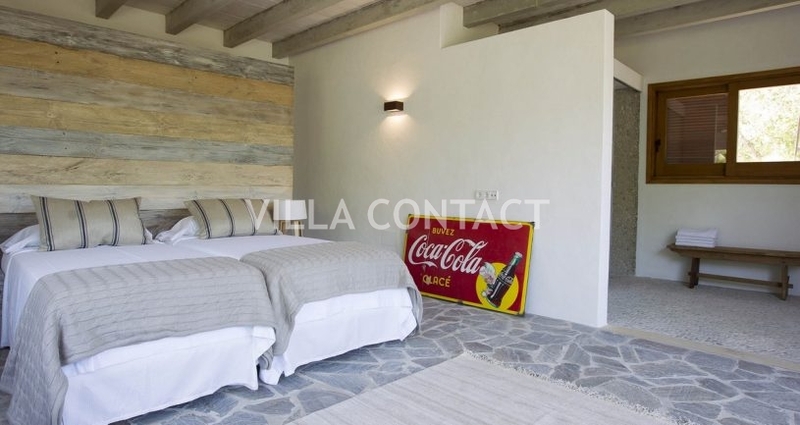 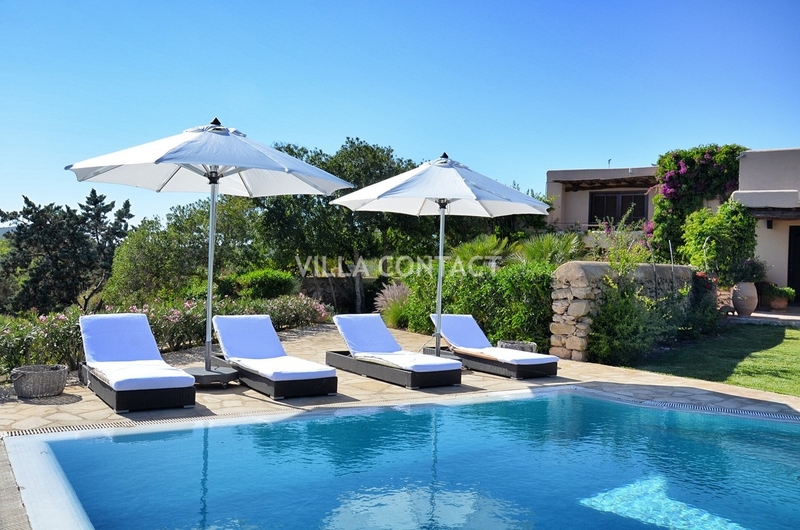 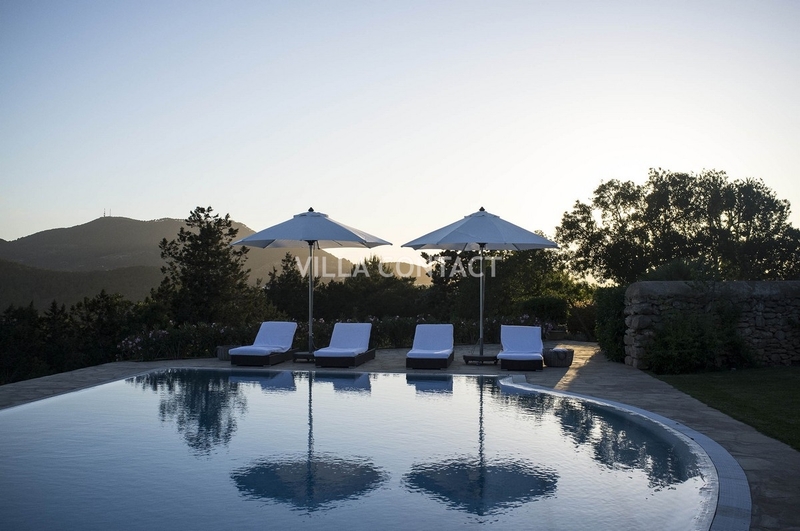 The villa offers 5 bedrooms, three of which enjoy their own private access to the terraces and gardens. 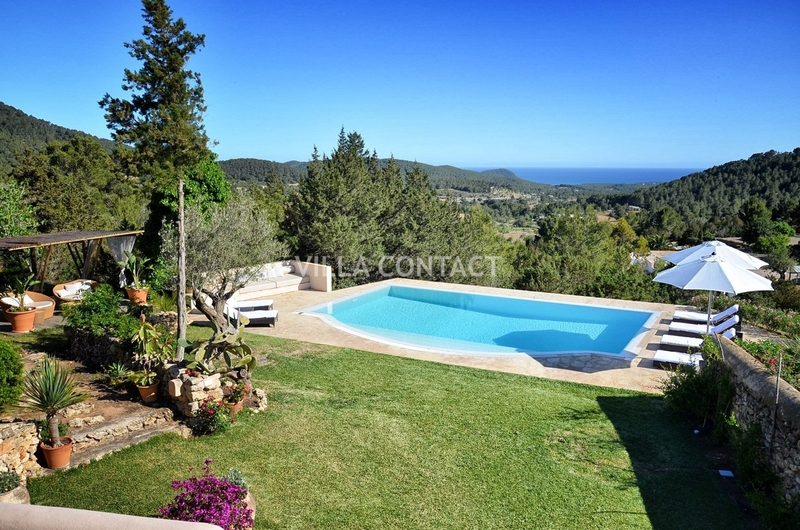 The pool area with its surrounding lawns and stunning sea views are undoubtedly one of the key features of this property. 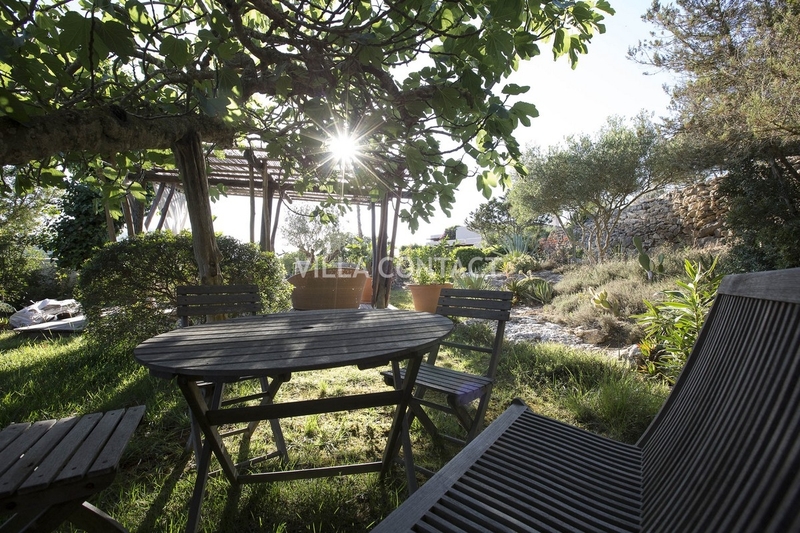 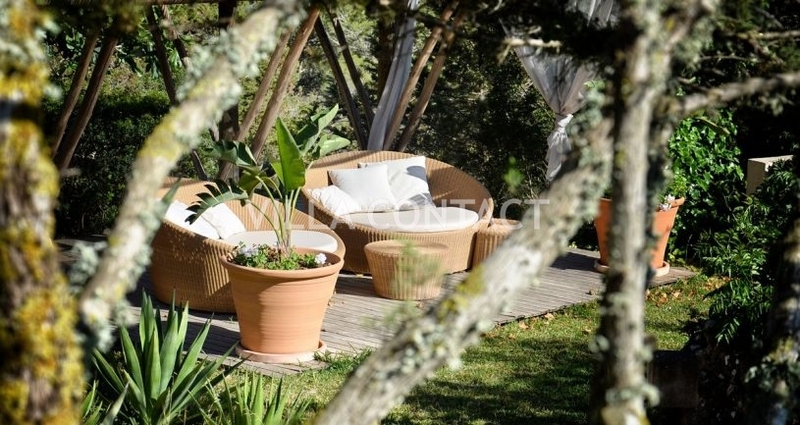 There are plenty of charming corners and terraces to relax and enjoy the Mediterranean sunshine. 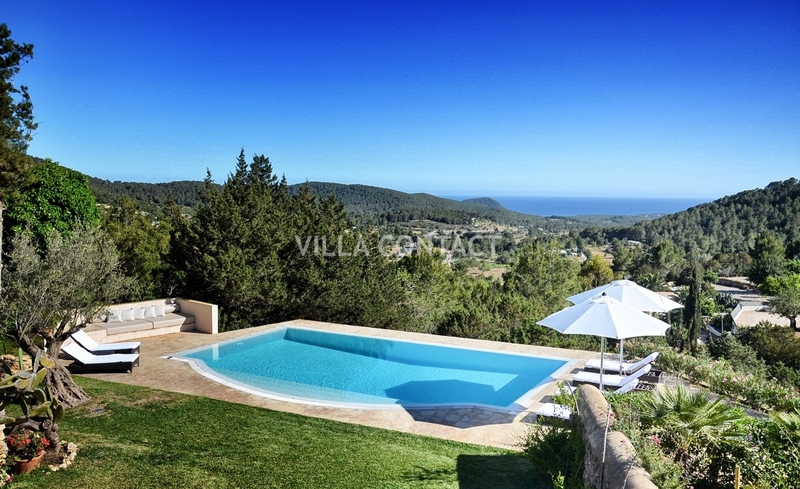 The property also has its own private tennis court for those looking for some sporting action during their holiday. 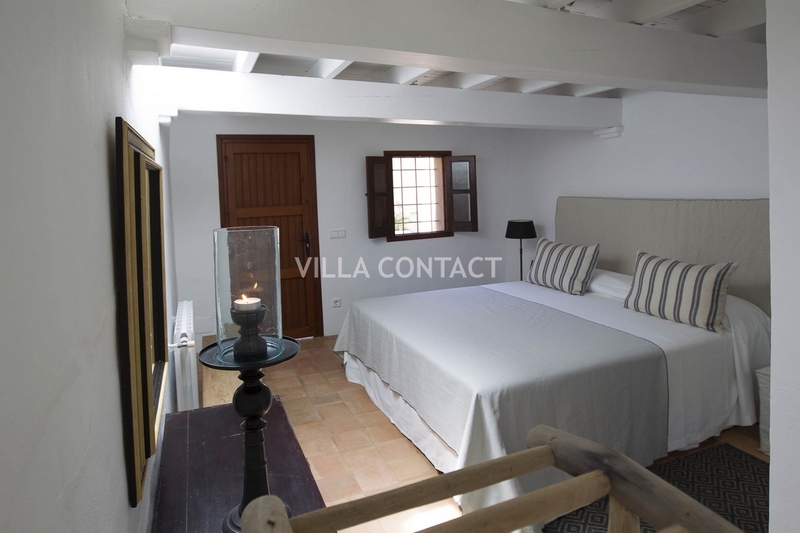 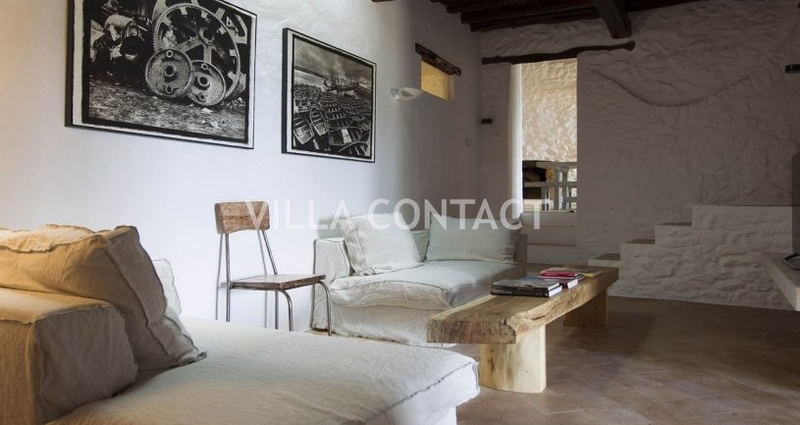 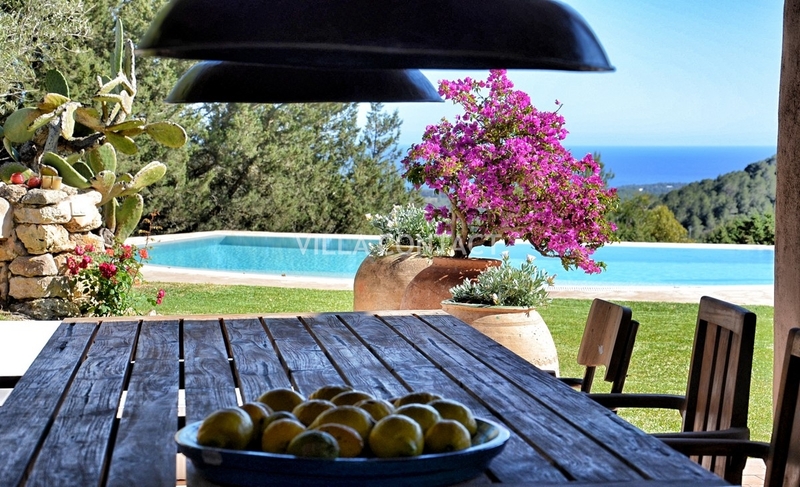 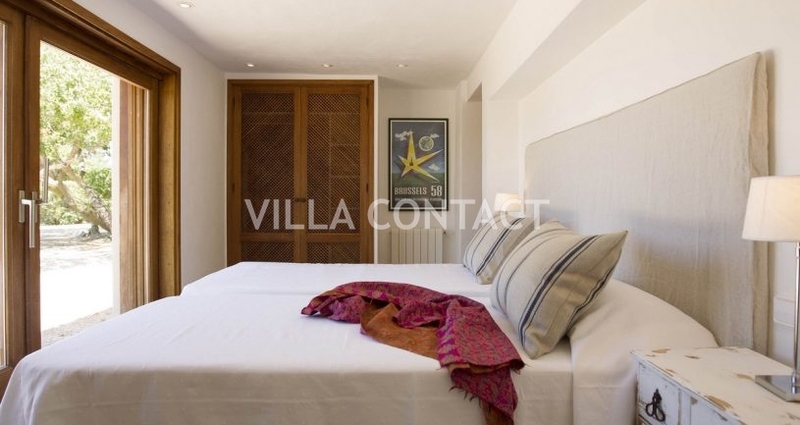 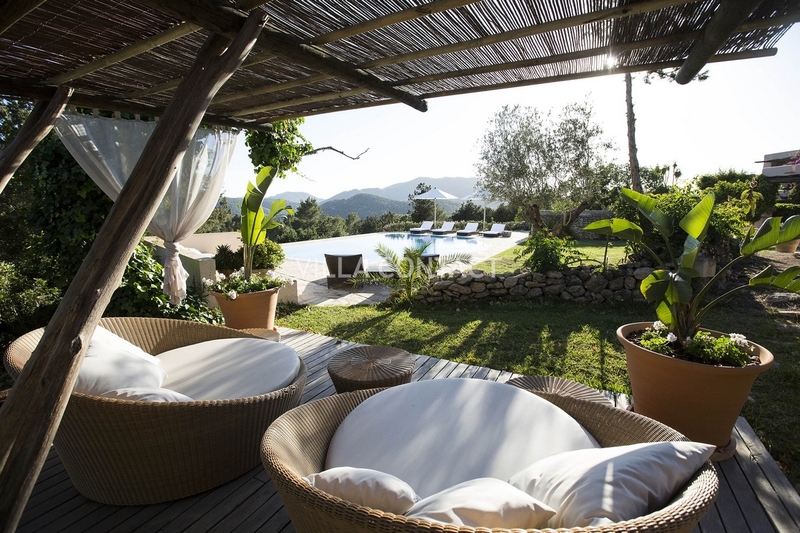 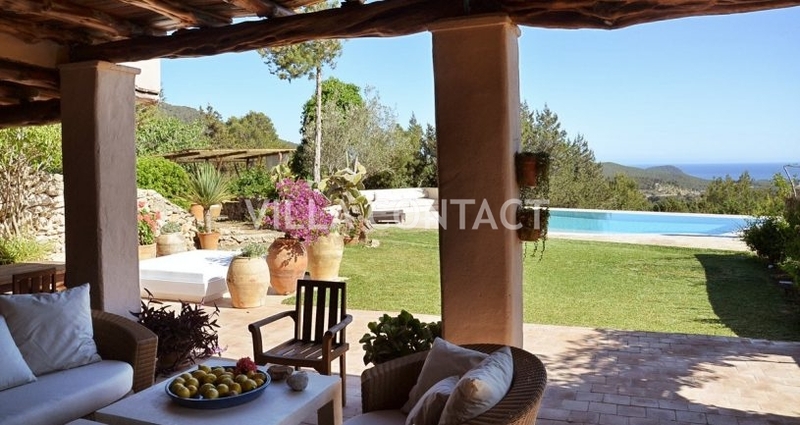 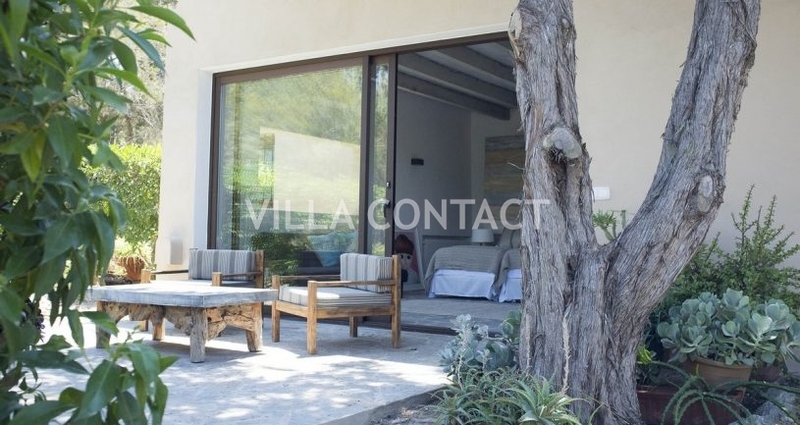 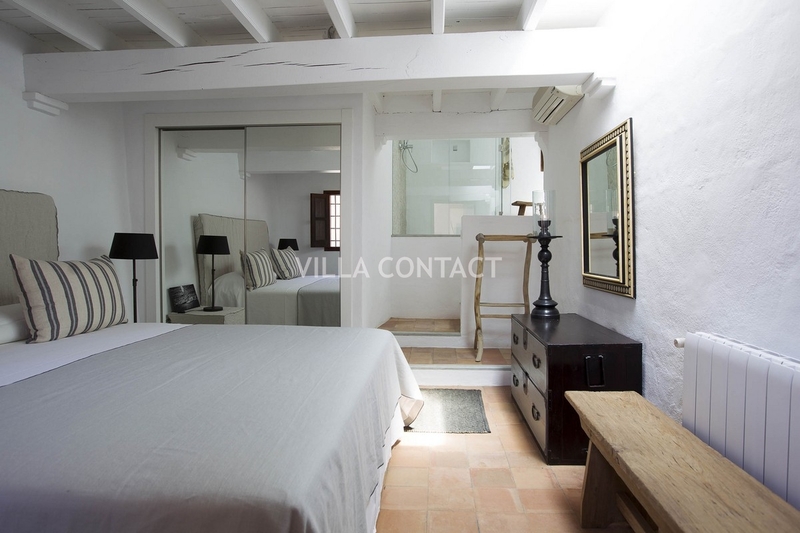 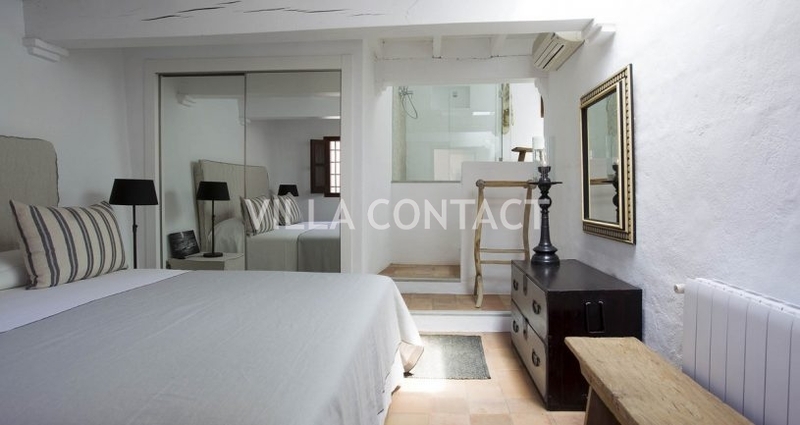 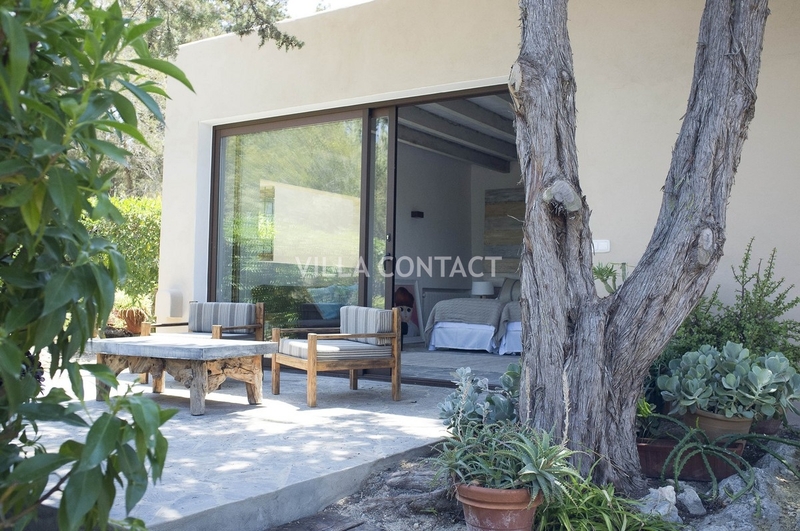 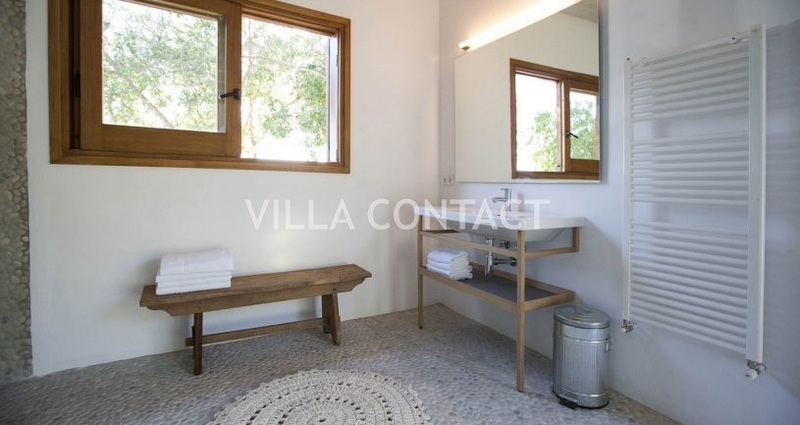 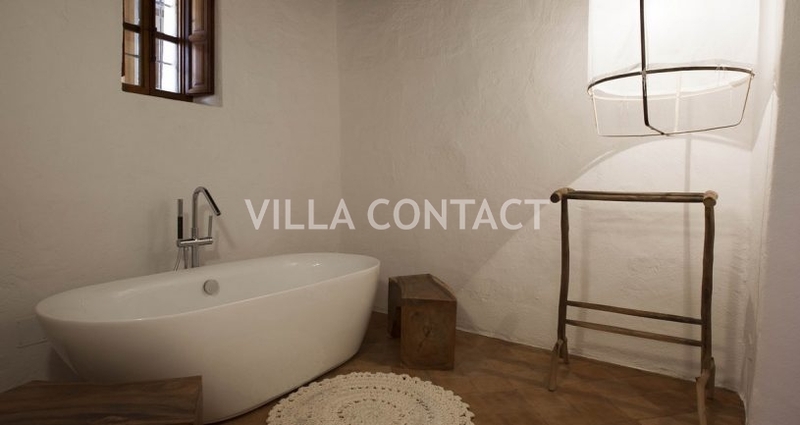 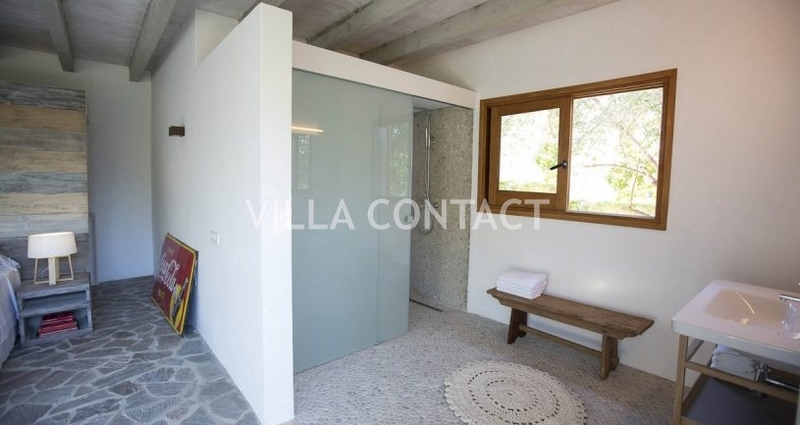 The villa is ideally located for easy access to the beaches of the south, San Jose and Ibiza town and there are various restaurants near by such as Can Bass and Can Domingo.